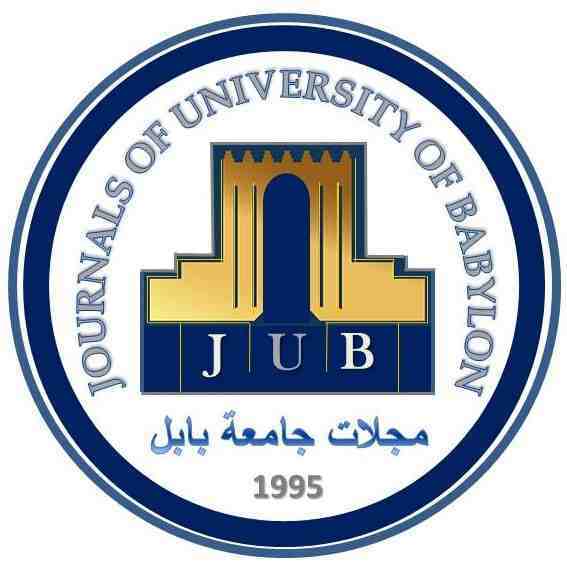 Journal of University of Babylon (JUB) is an official journal of University of Babylon in Iraq, established in 1995. JUB is publishing peer-reviewed, high-quality research papers and reviews in all branches of Engineering Sciences, Pure Sciences, and Humanity Sciences. JUB publishes twelve issues of rigorous and original contributions in the Science disciplines of Biological Sciences, Chemistry, Geology Sciences, and Physics, and in the Engineering disciplines of Material, Civil, Computer Science and Engineering, Electrical, Mechanical, Chemical, and Architecture Engineering.